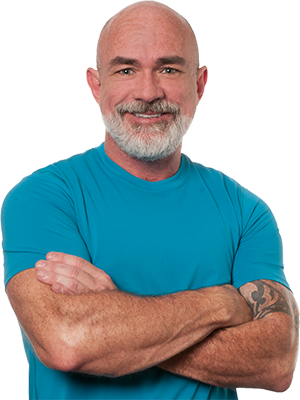 In the 15 years and over 11,000 massages I’ve performed, I can tell you from experience that shoulder pain is the number one issue my clients seek relief from when scheduling a session. I’m a big believer in understanding what pain is all about, so let’s start with the mechanics of your shoulder. 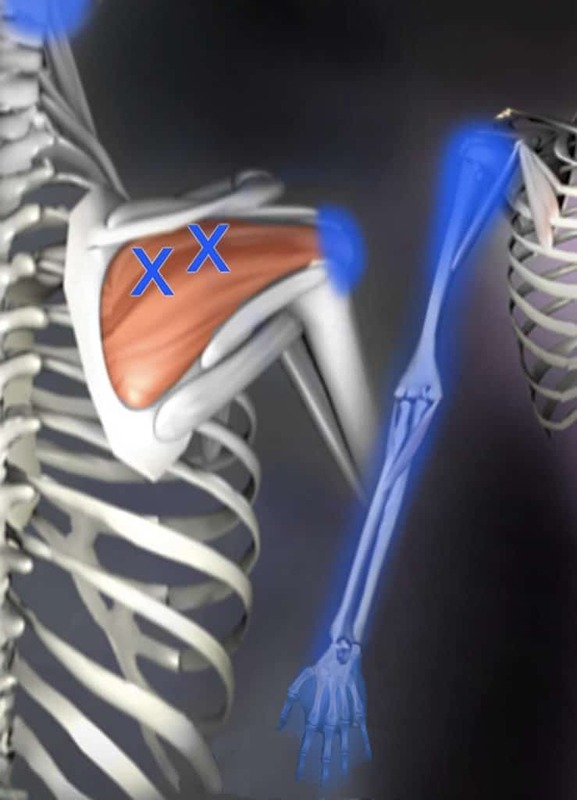 Your rotator cuff is a group of four small muscles in the shoulder whose primary action is to rotate the head of the humerus in the shoulder joint. Of the four muscles, the most affected by chronic pain are the supraspinatus and the infraspinatus. One of the most common causes of shoulder pain are myofascial trigger points, or MTP’s—often a common problem for weight lifters or anyone participating in sports with repetitive motions. MTP’s are often experienced in the neck, upper back and especially the shoulders and can be caused by previous injuries, poor weight lifting form, bad posture, long driving commutes, sitting in front a computer—even something as simple as walking a dog that pulls on its leash. Characteristically, MTP’s refer pain to other areas of the body. For example, the main referral pattern for a trigger point in the infraspinatus is deep in the front of the shoulder that can sometimes travel all the way down the front of the arm into the fingers. So, you can be experiencing pain in your forearm that is in fact being caused by a trigger point in the back of your shoulder. MTP’s can be very tricky and resolving that pain requires a skilled therapist who is familiar with this issue to effectively treat them—trust me, I see a lot of this and can often trace the root of that pain to a specific action once I get my clients to open up about their daily routines. As a neuromuscular therapist (NMT) trained in myofascial trigger point therapies, I use sequenced ischemic pressure (what you might know as “deep tissue massage”) in combination with moist heat and specific proprioceptive neuromuscular facilitated stretching (PNF) techniques to help release your trigger points and relieve pain. But that’s just half of the solution. To help avoid this kind of pain, I can show you ways to stretch and self treat your MTP’s between massage sessions as well as ways to modify your workouts to help prevent trigger points from returning. And yes, massage done on a regular basis really can prevent MTP’s from occurring at all. An ounce of prevention is worth a pound of cure, right? If you’re experiencing shoulder pain, there is relief and I want to help you with it—so please, don’t hesitate to contact me if you have any questions and to get a massage scheduled ASAP.